Read, curate and promote articles from your daily news feed or discover new and trending posts ranked by social shares. Pull snapshots into your post editor, add your own content and publish to your blog or direct to email. Content is automatically promoted to your social networks. 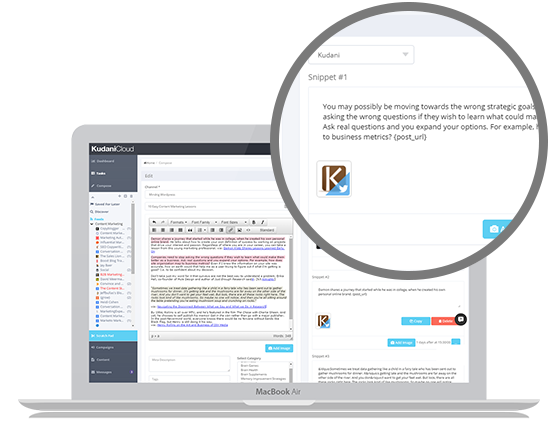 Publish content directly to your blog, social media, or email list. Vary posting times and frequency for maximum exposure and traffic. Set up sequences for automated posting to social channels, while customizing each piece of content for every post. Promote content directly to Twitter, Facebook, and LinkedIn. 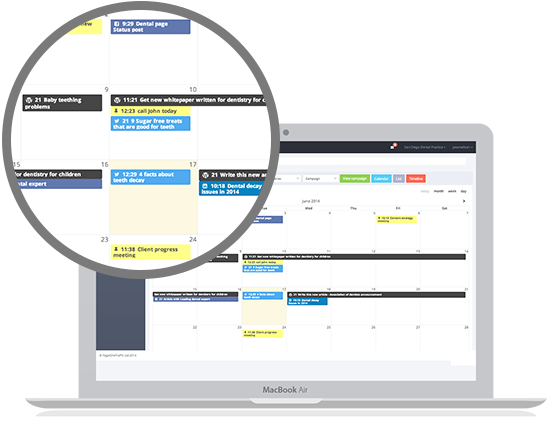 Create customized syndication templates that include posting times, dates, and repeated intervals. Build backlinks, maximize visibility, increase traffic, and engagement through amplifying content. 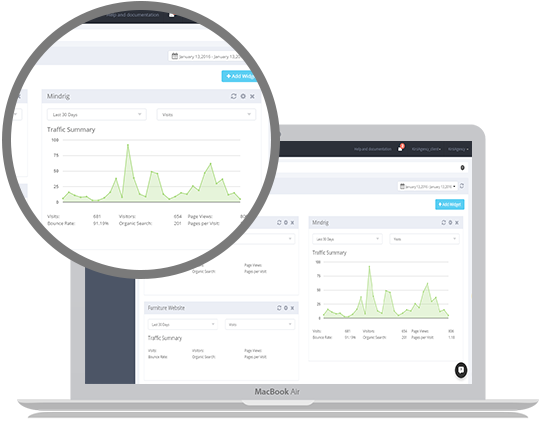 Track analytics to determine campaign effectiveness. 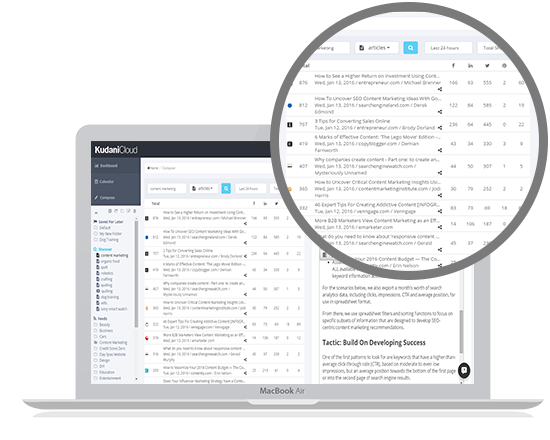 Monitor traffic, visits, referrers, searches and top performing content. 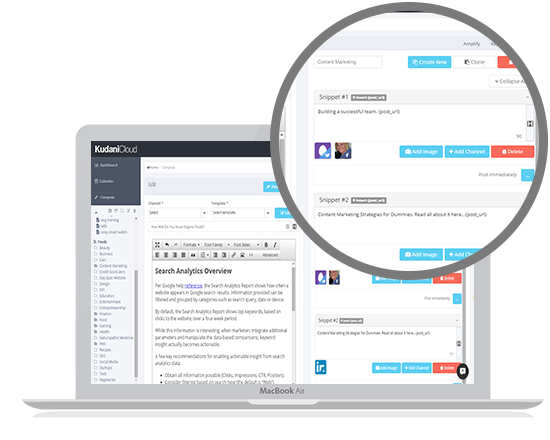 Quickly view recent tasks, messages, or recent blog posts, tweets, LinkedIn updates and Facebook posts. Fill your social channels with curated content increasing your audience engagement and building your authority. Schedule updates to Facebook, Twitter, LinkedIn weeks in advance. Include different images and shorten your links using our default shortner or use bit.ly or snip.ly integration. 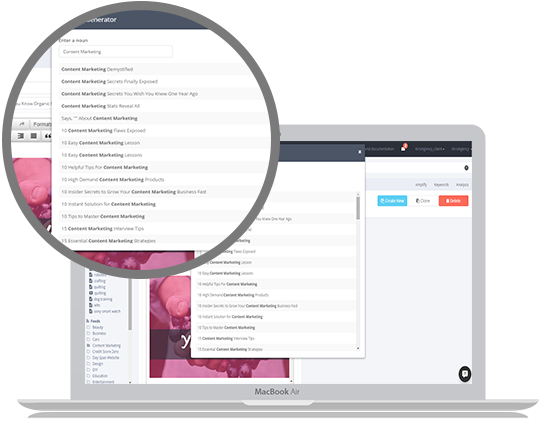 Plan, visualize and filter content marketing tasks and assignments including social promotion sequences. Filter by user, campaign or personas. Automated notifications keep users updated on their tasks within the system. Professional You are a Solopreneur with no more than 3 websites and 2 other members in your team. Business You have 5 or more people in your company and many social channels to promote your content. Agency In addition to Business features, you plan content campaigns, review and approve publishing to client sites.